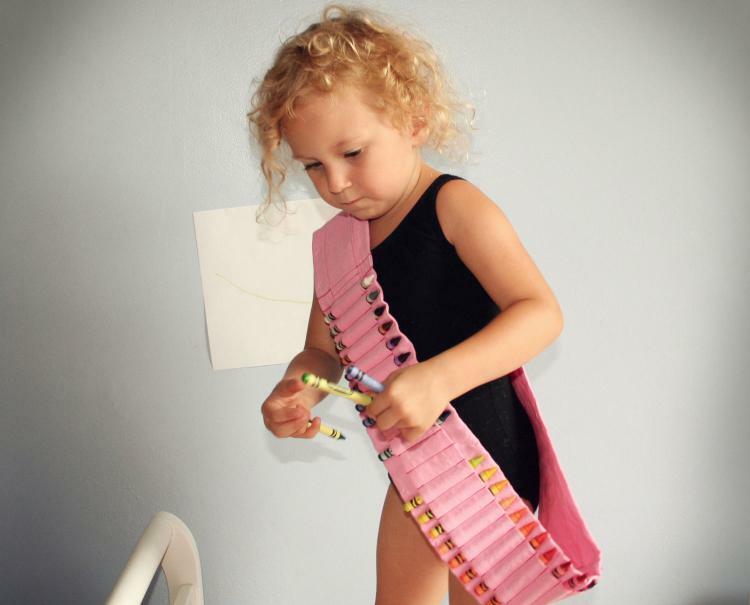 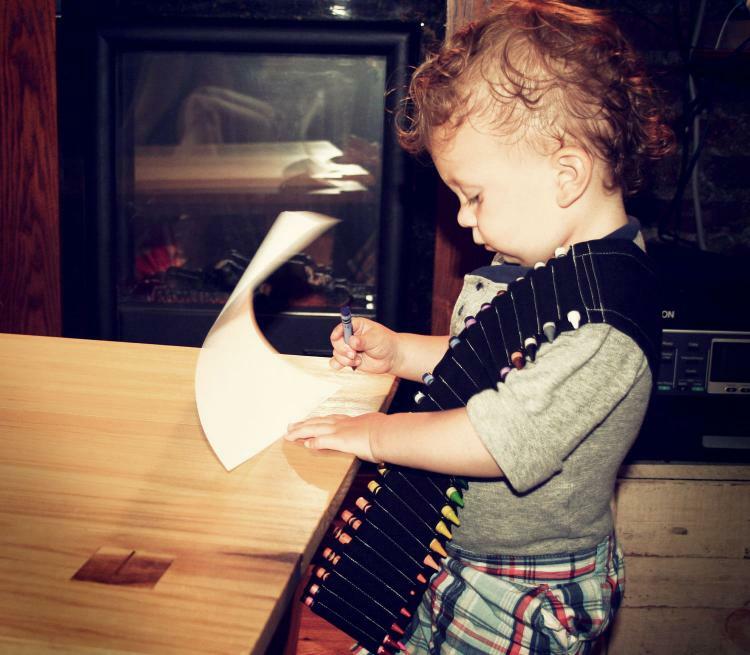 The crayon ammo belt is a Bandolier that holds a large supply of crayons for your child so that they can get up, walk around, and be mobile while having crayons an arm lengths reach away at all times and have them be at their disposal to draw on counters, walls, and even ceilings if they're feeling adventurous enough. 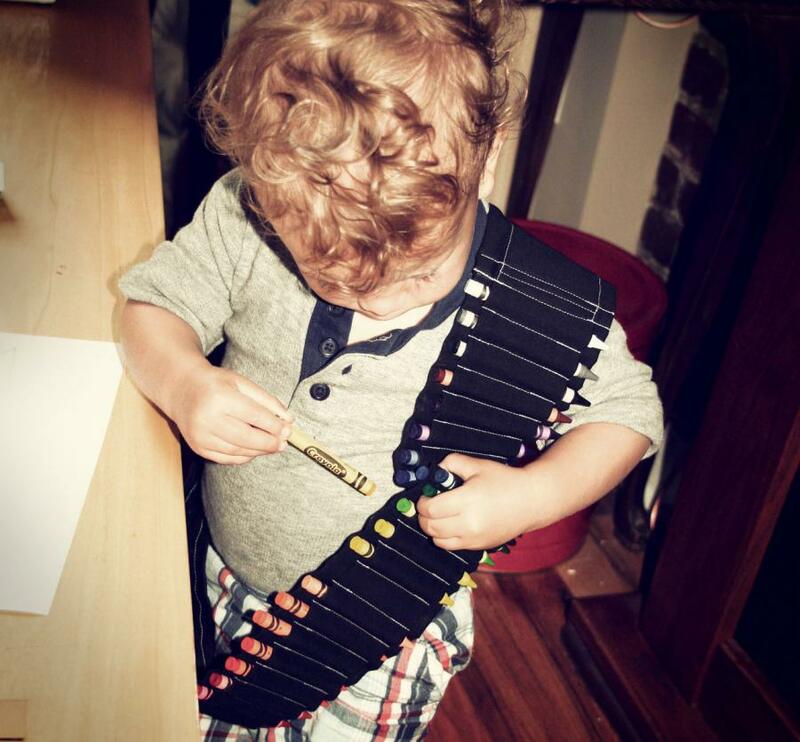 No longer will you have to pick up each crayon when your child is done drawing, let them be responsible for their own crayons by carrying them around on their person, if they don't pick them up, you can punish them with a mandated 20 jumping jacks with no lunch for a week. 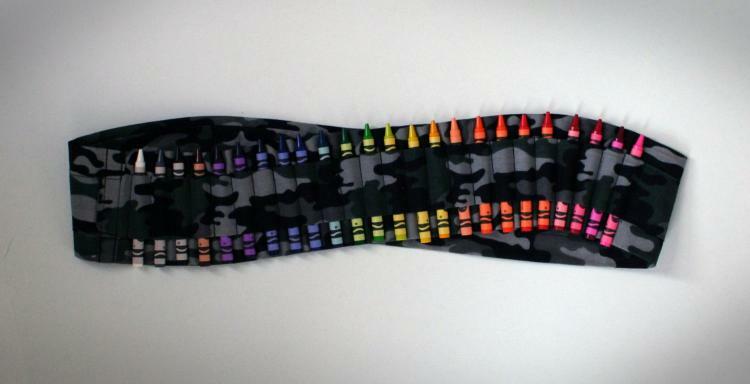 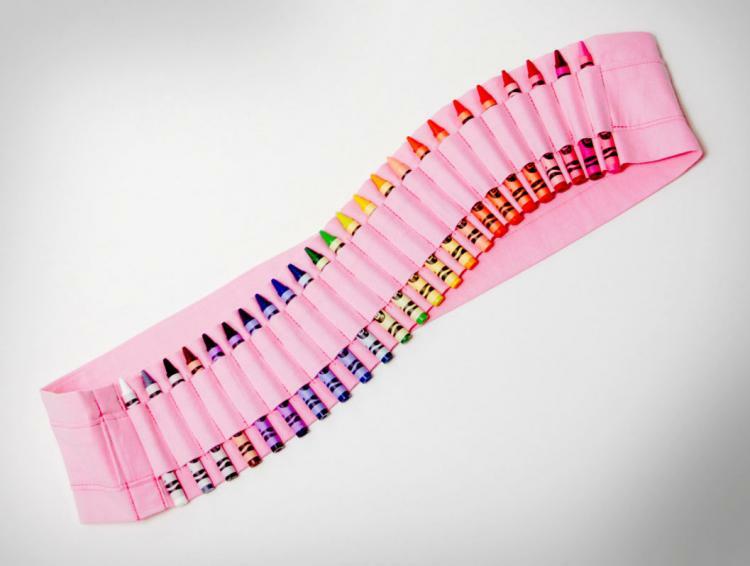 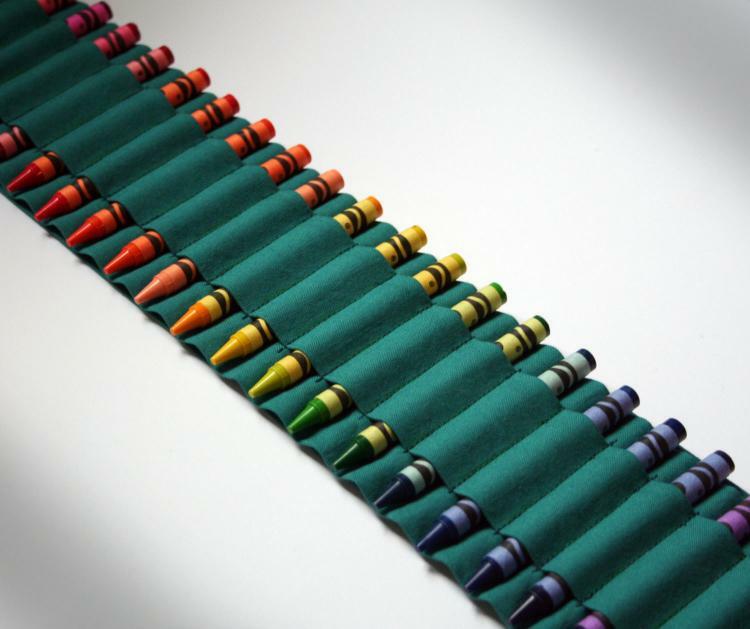 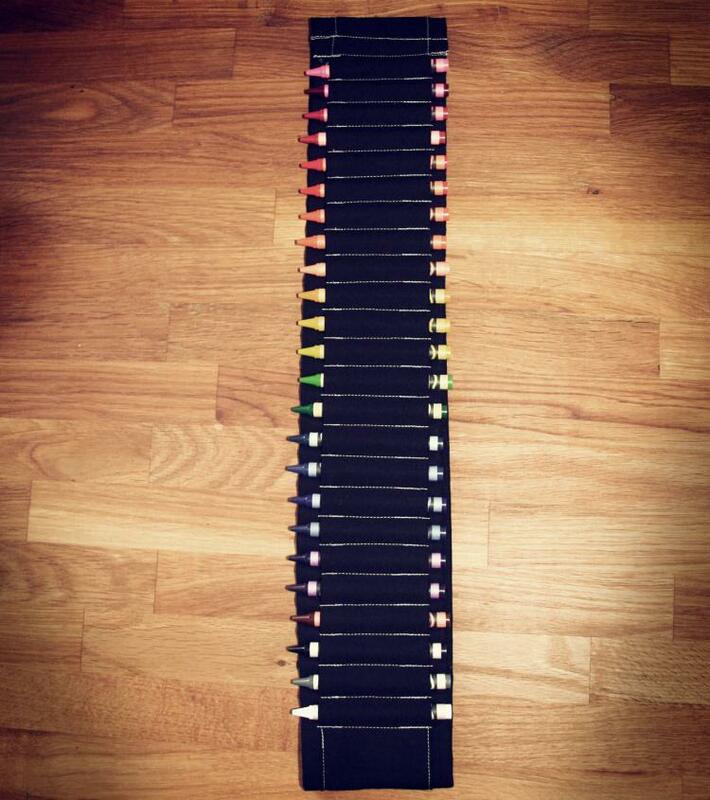 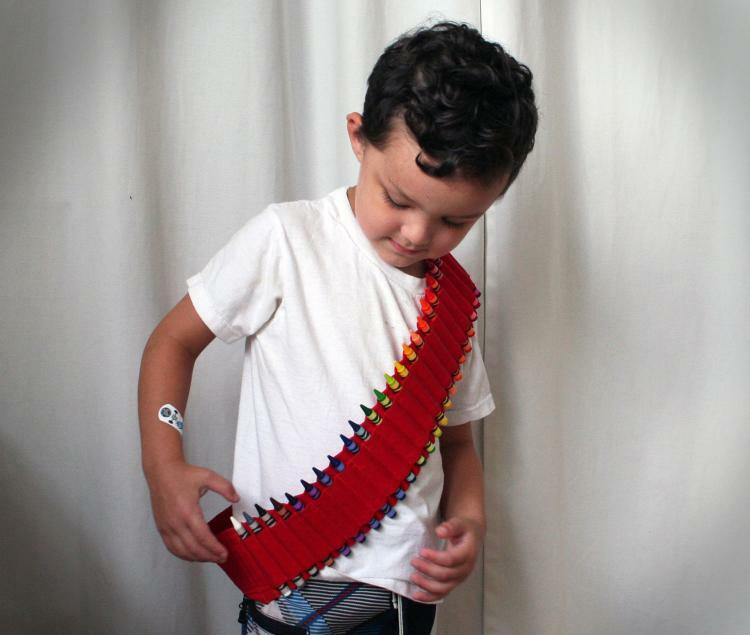 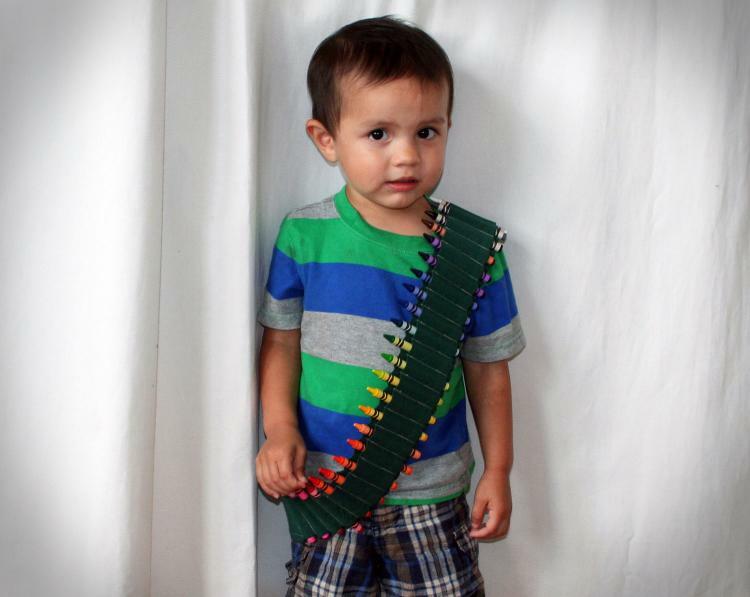 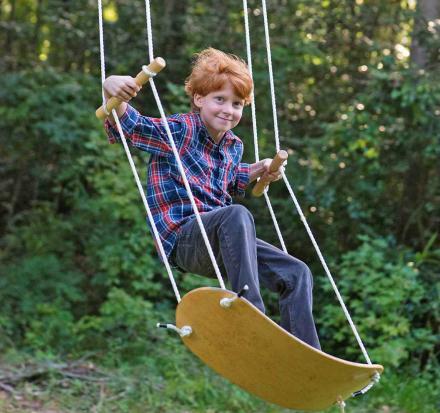 The crayon ammo belt is made from pre-shrunk cotton, comes fully filled with a set of 24 different colored crayons, measures 38 inches long x 3.5 inches wide, and is sure to make your child the badass-est kid in school. 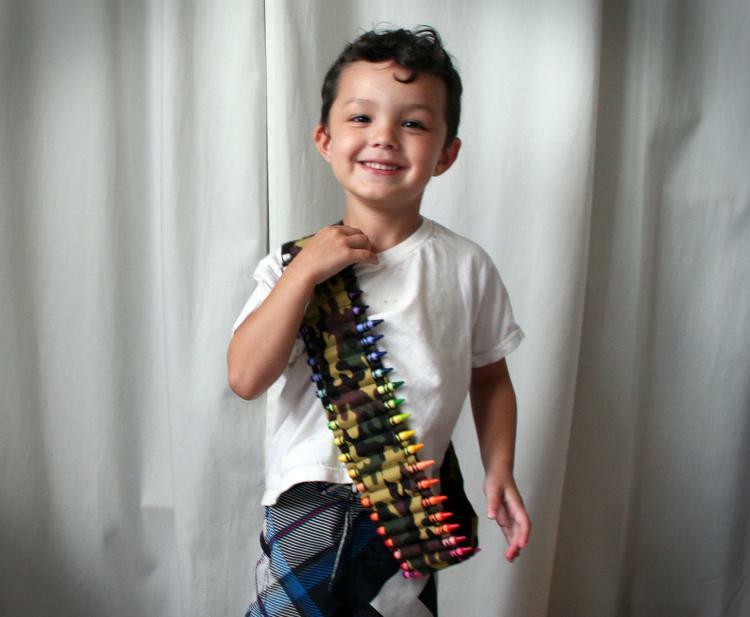 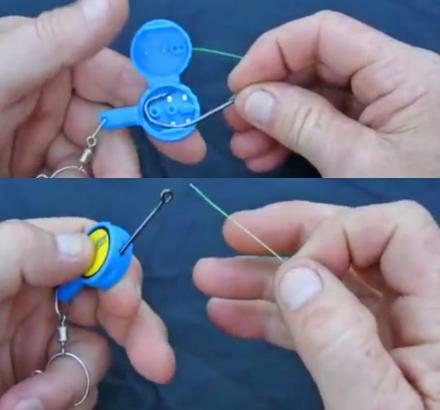 Be sure to check out other styles and colors on their Etsy store and the behind-the-scenes video of how the crayon ammo belt gets created below.